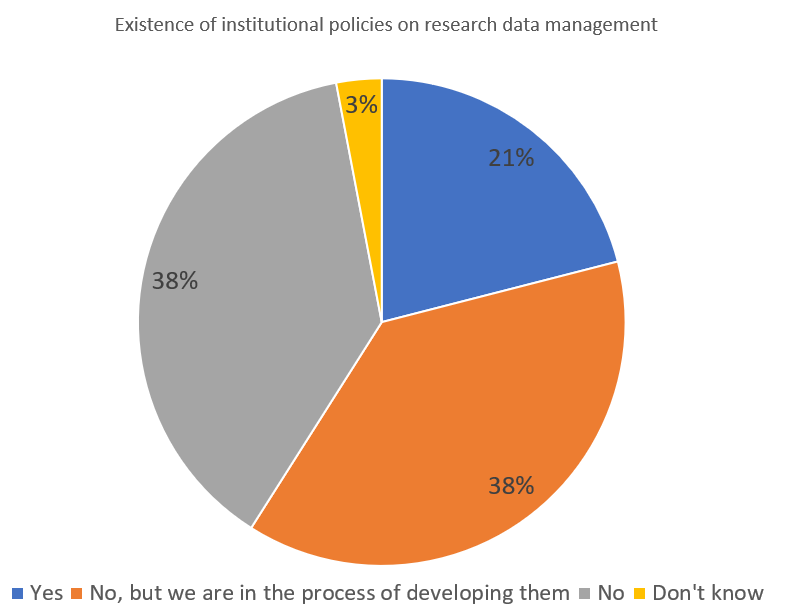 According to the latest data from the European University Association (EUA), only 21 per cent of surveyed higher education institutions have policies on research data management in place. Another 38 per cent of universities were in the process of developing them. However, almost 40 per cent reported that they lacked or were not in the process of developing such policies.